Dollar pared losses following yesterday's dovish FOMC meeting, with EUR/USD easing back below 1.14 handle after almost reaching 1.1450 the day before. 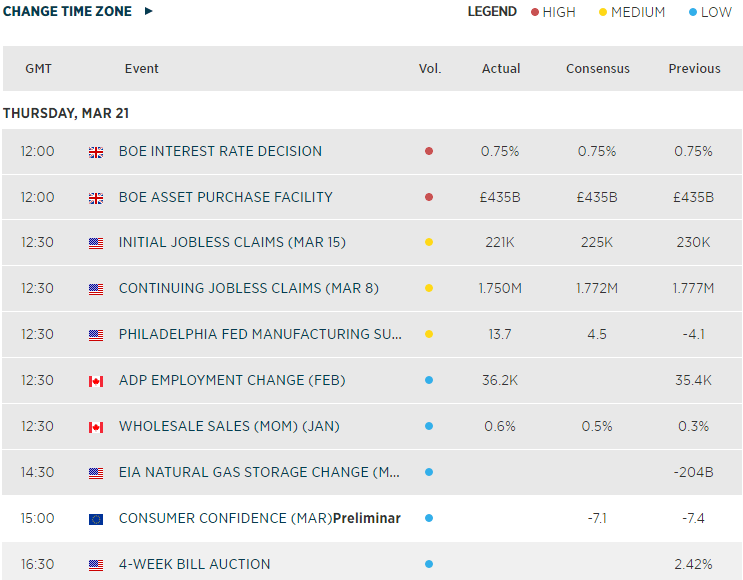 GBP/USD hit its lowest level on the week despite more good news from UK economy as retail sales unexpectedly climbed 0.4% m/m. Fears over a hard Brexit intensified as concerns were raised that the EU might not grant an extension to June 30 unless May's deal was passed in parliament. Norges Bank hiked rates by 25 basis points as expected but signalled another 0.25% hike for the 2nd half of 2019 and 2 more increases in 2020. It upgraded its growth forecasts and 2019 core CPI. EUR/NOK slumped from around 9.6900 to below 9.5900. Bank of England policy decision was a damp squib event due to Brexit. The BoE said monetary policy in response to Brexit, whatever form it takes, will not be automatic and could be in either direction. Despite the dovish Fed, US index futures pointed to a downbeat open on Wall Street, after a lacklustre EU session for stocks.